For solor, passenger or bike-to-bike! BTH-1 Rider Bluetooth FM Headset: Not only talk more safely on your cell phone - but also listen to the integrated FM radio that is part of the unit! Accept or reject incoming calls by voice-control and don't fuss with speaker volume either. Embedded sensors choose the optimum volume while your hands stay on the handlebars. 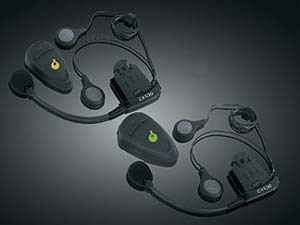 BTH-2 Rider Bluetooth Teamset: Perfect hands-free communication tool for riders. Talk with your passenger, accept or reject incoming calls - and even hold conference calls all while keeping your hands on the handlebars. Two ultra-thin speakers hidden inside your helmet automatically adjust the volume as you increase speed or your environment gets louder. 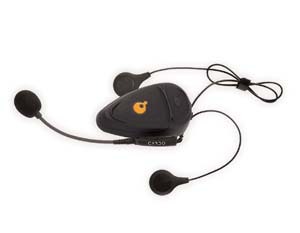 BTH-33 Q2 Multi-Set: Includes two pre-paired headsets in one package. Bike to Bike Intercom Communication up to 1,640ft/500 yards. 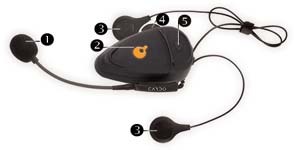 Each headset includes MP3 Jack which allows hook up to an MP3 player for wired stereo music. 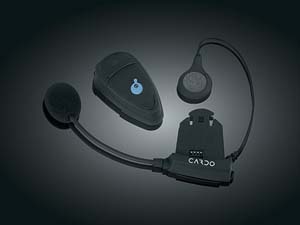 Compatible with Bluetooth enabled mobile phone, GPS, or another Scala Rider headset. Talk time up to 8 hours, Standby time up to 10 days. AGC Technology- automatically adjusts own volume based on ambient noise. Fits both full face and open face helmets. 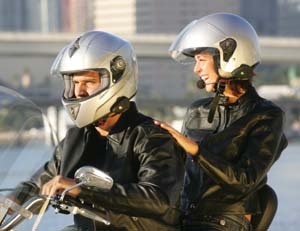 Rider-to-Passenger communications:Passenger may also conduct mobile phone calls or listen to the FM radio independently. Full Duplex: No longer the walkie-talkie syndrome where one party can only speak when the other is silent. 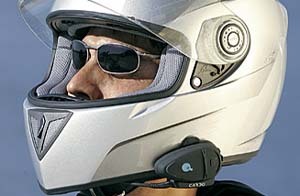 The BTH-2Q allows simultaneous speaking and listening between bikers and passengers. 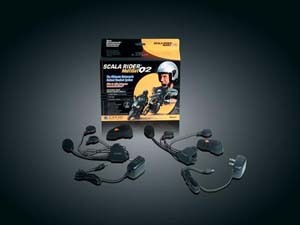 Communicate with a SCALA RIDER headset within range of 10 m / 33 ft.
After recharging from any outlet, the headset is easily re-attached to the helmet. Just slide it in and out. Attach the clamp to the bottom of the helmet, and slide onto the holding reel. Attaching and releasing happens in a matter of seconds. The kit offers not only superb features, ease of use and assembly but also looks great and is universally compatible with Bluetooth™ cell phones or PDA phones. The wind-resistant microphone provides clear communication even at relatively high-speed driving conditions. 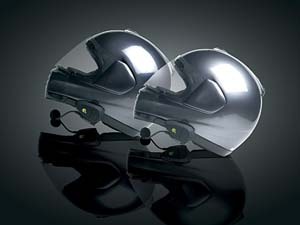 The super slim speaker fits even into tight helmets while advanced electronic components lets users initiate, receive or reject calls by voice-control. No other such product offers that many features and functions.